Great for kids 7-12, these camps delight while secretly teaching. 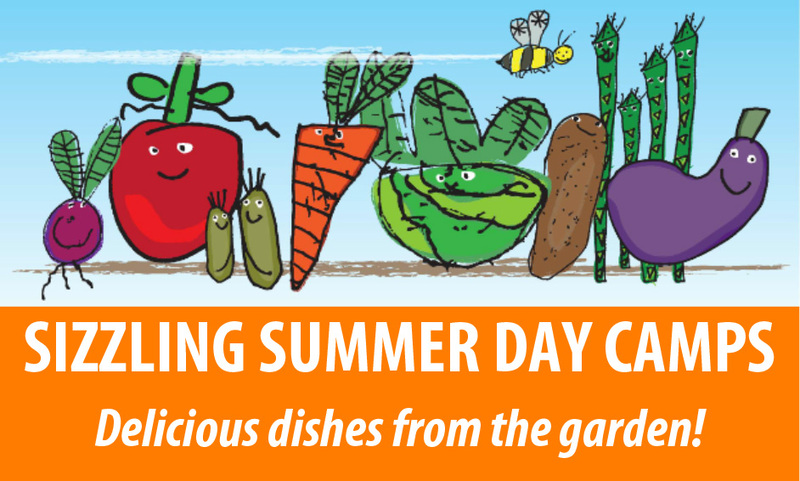 Enjoy the garden at its peak during the bounty of summer’s harvest, use all the cool kitchen tools – including some we don’t use during school – prepare and eat a fresh, delicious lunch and play fun, organized, maybe even water-soaked games outside. What’s not to love? Join us in gathering fruit, vegetables, and inspiration from the garden, then cooking it up into something tasty for lunch. Then play like crazy ‘til the day is all done. Learn four essential cooking techniques/dishes, create your own spin, and compete in groups for coveted chef’s wear. Prepare breakfast, pack your own lunch, make dinner for your family, and more! Camp Fee: $180/week Donation to Bella Mente PTA garden and nutritional science education fund. Camp Fee: $185/week Donation to Ocean Knoll PTA garden and nutritional science education fund.